Over the last decade, “umami” has gained a great amount of popularity and has finally made it’s way into the North American food lexicon. This is in part due to the rise in popularity of Japanese food and partly because some of the world’s most popular chefs have promoted it’s importance in the media. The human tongue has receptors for L-glutamate, which is the source of umami flavor. Glutamate is found in most living things, but when they die, when organic matter breaks down, the glutamate molecule breaks apart. This can occur on a stove when you cook meat, over time when you age Parmesan cheese, by fermentation as in soy sauce or under the sun as a tomato ripens. When glutamate becomes L-glutamate, that’s when things get delicious. The sun is finally shining after a long winter and it’s time to BBQ over live coals for the first time this year. Here’s an easy recipe featuring umami rich ingredients like soy sauce, fish sauce, sesame seeds, and nori. Blend all ingredients in food processor until well combined. 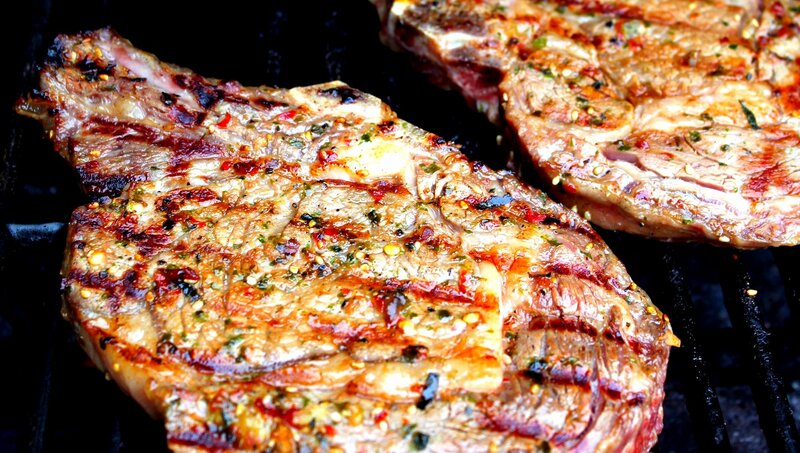 Marinate meat, fish, tofu, or vegetables at room temperature for one hour, then grill over live coals. In the meantime, add remaining marinade to saucepan, bring to a boil, and cook for 2 minutes. Use as a dipping sauce. Your welcome, let me know how your final dish turns out.